WORLD PSYCHEDELIC CLASSICS #5: WHO IS WILLIAM ONYEABOR? One of my favorite parts of a new Tarantino film is the soundtrack. I’m not sure how the legendary director finds time to be an expert on obscure cinema and pop music, but his films always feature interesting songs. Besides reinventing classic hits of yesterday, Tarantino has an amazing knack for digging up forgotten gems by artists I’ve never heard of. The Luaka Bop label does something similar, releasing a staggering assortment of amazing re-issues from grossly overlooked musicians from across the globe. WORLD PSYCHEDELIC CLASSICS #5: WHO IS WILLIAM ONYEABOR? is a fantastic record. Actually scratch that, it’s a mind-blowing record. It’s the kind of thing that sounds too good to be true: the greatest cuts from a reclusive Nigerian funkmaster, recorded at the height of his power in the late 1970’s/early 1980’s. There’s a whole thrilling behind-the-scenes story behind this re-issue but it’s really too involved to get into here. If you’re interested I highly suggest you check out this article on the subject at NPR’s website. The short version is: you’ve never heard of William Onyeabor because he quit the music business to be a crazy religious zealot. But I’m not as concerned with the man as I am with the music. I’ll let his God pass judgment on William Onyeabor’s soul; his funk on the other hand, I can pass a fair amount of judgment. When I first heard WHO IS WILLIAM ONYEABOR? I thought it was a brand new album and not a re-issue. The music sounds like a fresh, contemporary take on classic 1970’s funk. Onyeabor’s music, while being very much rooted in funk, has a generous helping of psychedelic flourishes. These psychedelic flourishes, along with a keen sense of innovation, is what sets this music apart from other funk recordings of the period. The only modern equivalent to Onyeabor’s sound that I can come up with is Wayne Coyne of the Flaming Lips. Imagine the more playful Flaming Lips tunes covered by Funkadelic and you’re on the right path to reaching Onyeabor’s sound. The songs are long-form grooves that ebb and flow into glorious Technicolor flourishes. Onyeabor has a gentle, self-assured voice that helps take the sting out of his strange, droning lyrics. The best example being on “Atomic Bomb” in which he professes that he’s going to explode like the titular bomb. The proto-electronica/trance of “Good Name” becomes all the more hypnotic with his “nobody, nobody, nobody” chant. While Onyeabor’s vocal-styling may not be earth-shakingly innovative, it’s really the only part of his music that isn’t. I can totally understand how this music was overlooked globally when it was initially released—Onyeabor was clearly ahead of his time. Check out the opening of “Let’s Fall In Love,” sure it’s rooted in late 1970’s disco but there’s a cold, computer-like quality clearly predicts the coming rise of techno music. The layers of synthesizer and saxophone meld into something strange and beautiful. It staggers my mind this guy was making music like this in the year 1983. The level of sophistication on display all over WHO IS WILLIAM ONYEABOR? makes one wonder what would have happened had Onyeabor continued to make music? There nine tracks, taken from eight albums, paint a fascinating what-if? scenario. Definitely take a moment to listen to “Let’s Fall In Love” and “Atomic Bomb.” Let the songs wash over you, and keep in mind that these songs, as fresh as they sound are over 30 years old. 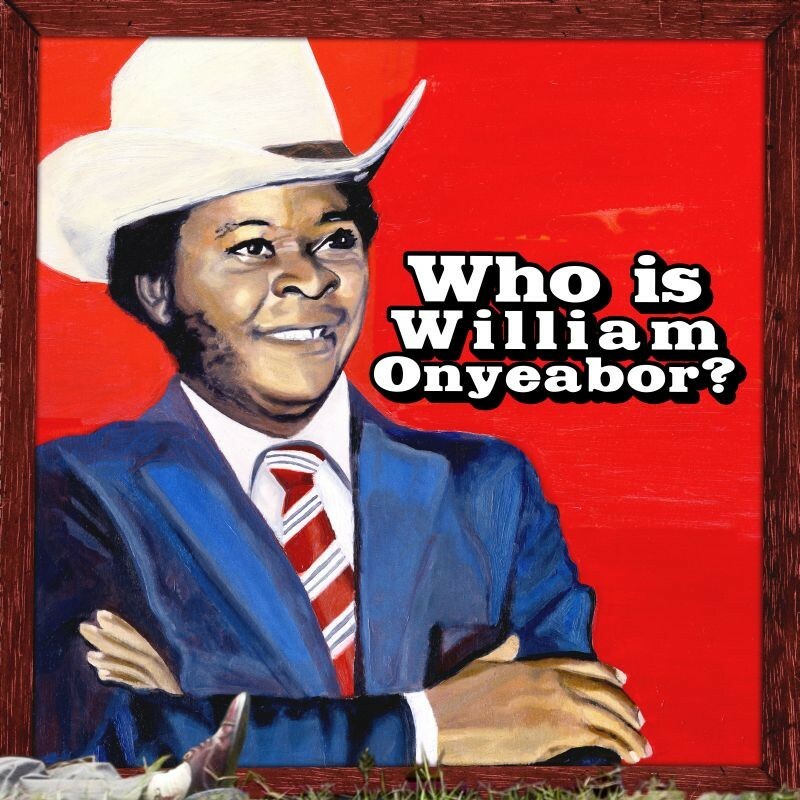 Tagged 1970s, 1980s, African, Compilations, Dance, Disco, Electronica, Flaming Lips, Funk, Luaka Bop, Nigerian Music, NPR Music, Psychedelic, Quentin Tarantino, Re-Issues, Techno, Wayne Coyne, William Onyeabor, WORLD PSYCHEDELIC CLASSICS #5: WHO IS WILLIAM ONYEABOR?